The Little LibraryHistoric Vienna Inc. 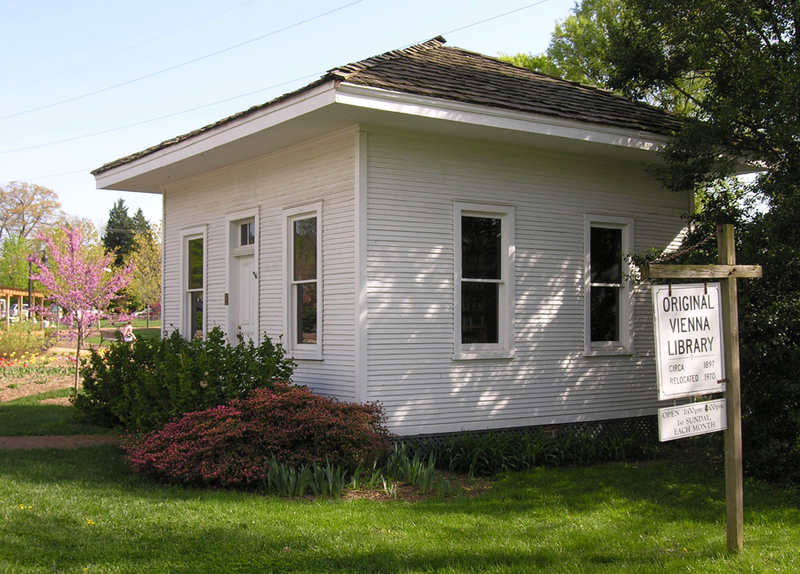 The Little Library is one of the oldest museums of its type in Fairfax County. 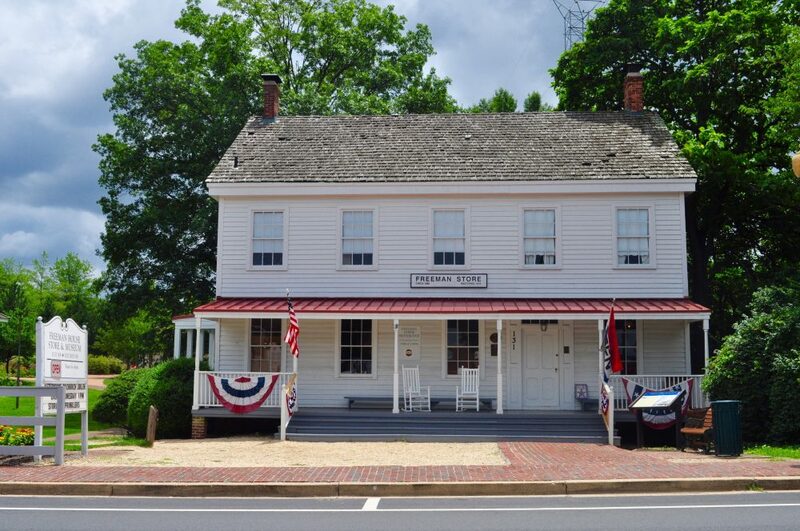 This quaint building housed the Town of Fairfax’s first library, and it has been preserved to give you a glimpse of what life was like in Vienna’s historic past. 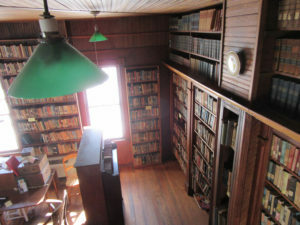 The Little Library is located next to the Freeman Store and Museum. We are open the 1st Sunday of every month from 1-4pm and during special community events (excluding January and February). You can also give us a call at (703) 938-5187 to schedule a tour. The Library is a museum not a lending library but visitors may pass the time carefully reading some of the old books that have been preserved. If you are interested in taking a turn sitting in the Library and welcoming visitors, please contact Margaret Dellinger at vamember@aol.com or 703-409-3564. VIENNA’S LITTLE LIBRARY celebrates 120 YEARS in 2017! 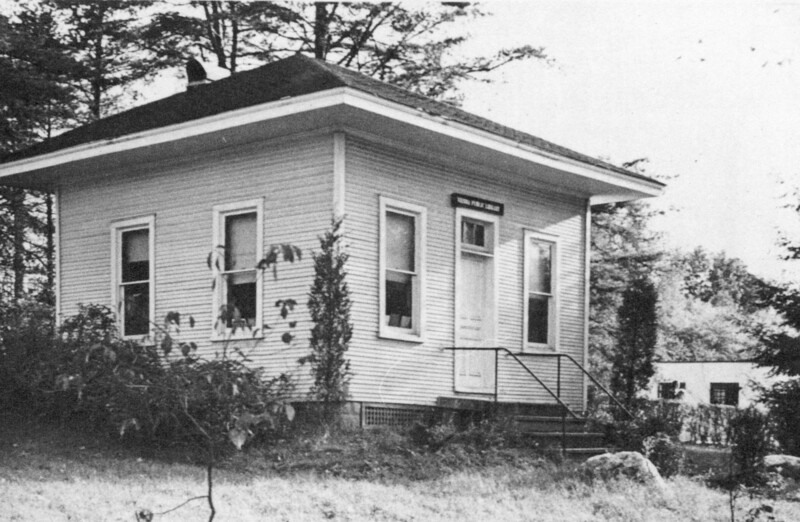 The one-room library building, now located on Mill Street in Vienna, was the Town’s first public library, constructed in 1897 by local resident Edward R. Pierce at Library Lane and Maple Avenue. It was moved in 1912 to Center Street and Maple Avenue, and in 1969 to its present location where it is maintained as a museum by Historic Vienna. 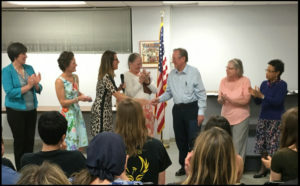 The celebration included remarks by local dignitaries and former Little Library patrons, presentation of proclamations honoring the anniversary, musical entertainment, games for children and adults, and souvenirs and refreshments for everyone. Historic Vienna Inc. also honored the history of this beautiful and important building during the 2016 Vienna Halloween Parade. Dr. Robert Amsler receives Town of Vienna Volunteer Recognition award on April 18, 2017. While my effort to solve the mystery of what books are in the Little Library and how they are organized on the shelves started with the creation of spreadsheets of the catalog cards in the Biography and Non-Fiction drawers of the card catalog, it has since progressed to examining the actual books one by one and recording their bibliographic information directly. In part this was necessitated by the absence of copyright dates or publishers on the catalog cards, but also because I’ve discovered that the card catalog is not a complete inventory of the books catalogued in the Little Library. The first thing one must get used to when dealing with the Little Library is Murphy’s Law. Whatever could go wrong, did go wrong at some point. We not only have catalog cards for books that cannot be found (as of yet), but there are books on the shelves that were indeed catalogued long ago for which there are no catalog cards. 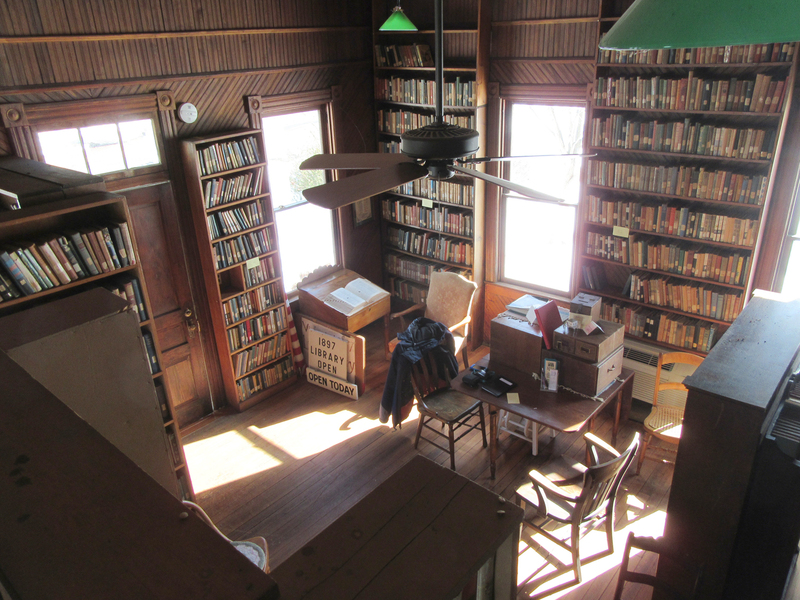 There are also uncatalogued books on the shelves that were donated to the Little Library after it closed (continuing the uninterrupted tradition of Vienna residents for well over 100 years of donating books for libraries). The Little Library was truly the product of ‘folk librarianship’ in that unlike every library we have known about since being small children, the call numbers on its books are NOT the basis for where they are located on its shelves. The call numbers, many of which are still legible on the spines of the books as well as written inside the books are actually accession numbers. They aren’t based on any library classification system. They were totally invented and used just in the Vienna Little Library. These call numbers give an alphabetic category code describing what section of the library the book should be shelved in, such as F for Adult Fiction, B for Biography, or JR for Junior (Children’s books), but then add a letter-number combination below that which represents the first letter of its author or a word from its title and then an integer to indicate how many times that letter has been used in that category. So, the first step in understanding the organization of the Little Library was the very unintuitive observation that the call numbers didn’t explain either specifically where the books would be placed on the shelves, how to reshelve them, or in general indicate a relationship between consecutive numbered books. The second major discovery was that the card catalog doesn’t really contain alphabetic subject cards. The Little Library librarians always created cards for titles of books, usually for the authors of books, but created no index cards for the subjects of books. For books in the Biography (B) section, the books are alphabetized on two bookcases by what we expect to be their order in a contemporary library, by the ‘biographee’ (the person whose biography the book describes), but that may not be either the author or title of the book. For example, the 1952 biography, “Windows for the Crown Prince” by Elizabeth Gray Vining with call number B V-10 is shelved alphabetically under “AKIHITO” who was the subject of the biography. There are catalog cards for the author (“Vining…”) and for the title (“Windows…), but none for Akihito. For children’s books things are perhaps more difficult, since as far as I can tell, there is no separation of non-fiction from fiction books; they are all shelved in one alphabetical order by their authors. The call numbers are of course something completely different. Adult Fiction is perhaps the easiest to locate, having catalog cards by author and title, and being shelved alphabetically by authors and within authors by titles. Adult non-fiction is in two bookcases, subdivided into sections roughly by its category letters; but there was a good deal of indecision as to what ‘subject’ some of the non-fiction books belonged under. S (for Science), Bot (for Botany), and even a special shelf for books for the Vienna’s Ayr Hill Garden Club dealing with flowers, trees, shrubs and birds. To facilitate working with the bookcases they have been given designations according to what wall of the library they touch: North, South, East, West and Center as well as numbering the bookcases from left-to-right and conceptually numbering the shelves from top-to-bottom and the books from left-to-right. And now, most of the bookcases also bear labels indicating what category of books they contain and the range of authors/biographers in that bookcase. The secrets of the books will require book-by-book examination of each one, for many surprises exist in individual volumes. Note: the books in the collection, while old, are not valuable, as they have been ‘enjoyed’ by many readers over the years, and so are of little interest to book collectors.